in Texas, that is propaganda. cuz we women know words are spears. Texas don’t like their Indians or Mexicans. to begin with? Our chatter slows. Silence, along I-40 through Tejas. in Oklahoma to and from meeting. two different countries,” sis says. Southeast Indians and Plains Tribes. Sis’s car is a mini Okie Indian County. In this car Indians slept, prayed, played. 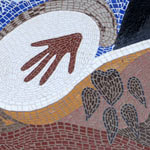 fasting, mourning, rites and rituals. with medicine in languages old as earth. exhale, our tongues come back to life. weren’t no way we wasn’t getting home. in marrow, memory, whispers in blood. 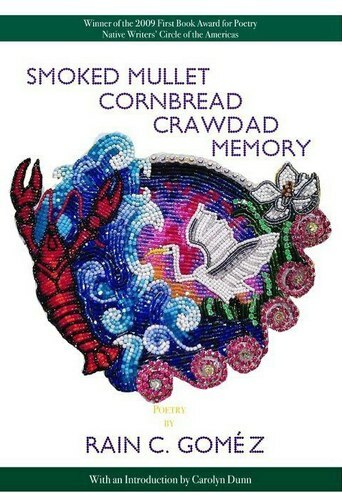 First published in Smoked Mullet Cornbread Crawdad Memory, Mongrel Empire Press, Norman, OK 2012. Rain Prud'homme-Cranford (Louisiana Choctaw/Creole/Mvskoke/Metis/Celtic) is the Sutton Doctoral Fellow in English at University of Oklahoma, She won the 2009 First Book Award in poetry for Smoked Mullet Cornbread Crawdad Memory (Mongrel Empire Press-Fall 2012), from the Native Writers’ Circle of the Americas, (NWCA). Her second book, Miscegenation Round Dance: Poèmes Historiques, is currently under review and she is working on her third poetry and prose manuscript: RAW: Lwizyàn Mestizà Unsilences & other poetical oddities. A self-described “TriRacially Fluffy and Fabulous” Louisiana Méstiza, she is of Louisiana Choctaw, Louisiana Creole, and Mvskogean descent paternally, and of Canadian Métis and CelticAmerican ancestry maternally. She was raised and grew up along the Gulf south in Mvskogean-Creole homelands. Creative and critical can be found in: Tidal Basin Review, Natural Bridge, SING: Indigenous Poetry of the Americas, Yellow Medicine Review, American Indian Culture and Research Journal, Louisiana Folklife Journal, and various others. Rain is the National Secretary for Wordcraft Circle of Native Writers and Storytellers and as of 2012 the Assistant National Director of NWCA. 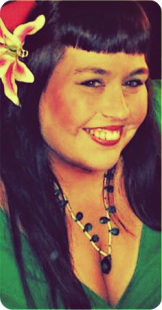 She is the newly appointed Editor-in-Chief of the NWCA Literary and Art Journal (Red), launching Spring 2013. 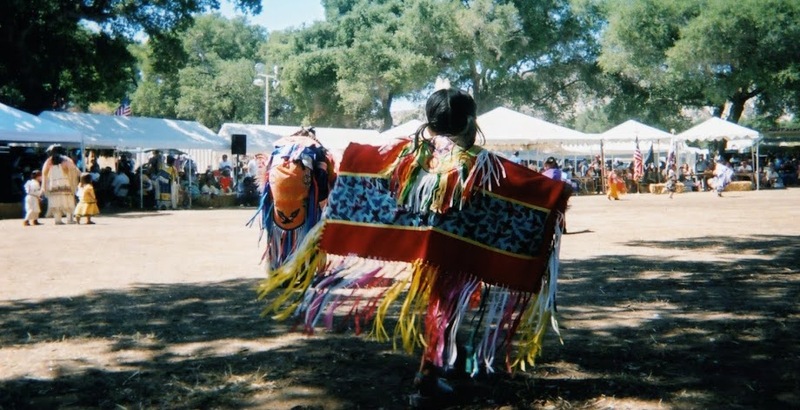 She lives in Oklahoma City, near her sister beadwork, regalia, and mixed media artist Tee Shawnee and family where the sisters collaborate and laugh with family and children.